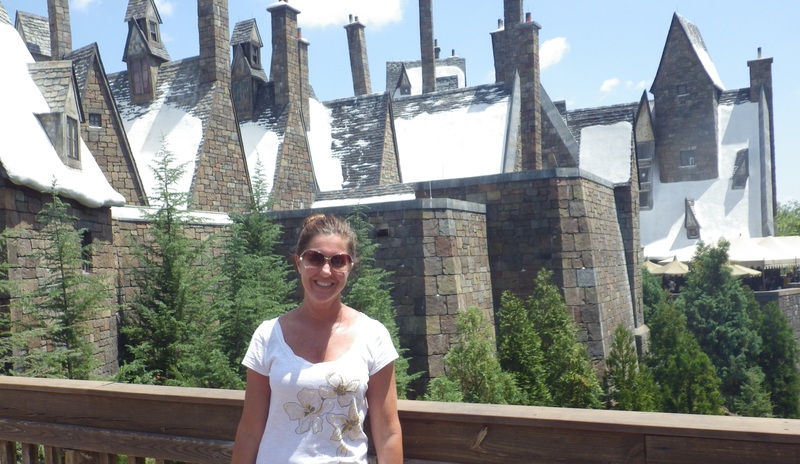 With such close proximity to the Harry Potter Studio Tour at Warner Bros, I never understood why Londoners were so eager to visit the Wizarding World of Harry Potter in the Universal Orlando Resort…until I went. – The Warner Bros facility stands alone, far outside Central London. An Adult Ticket General is £29, (~$46) for a tour that could take around 3 hours. 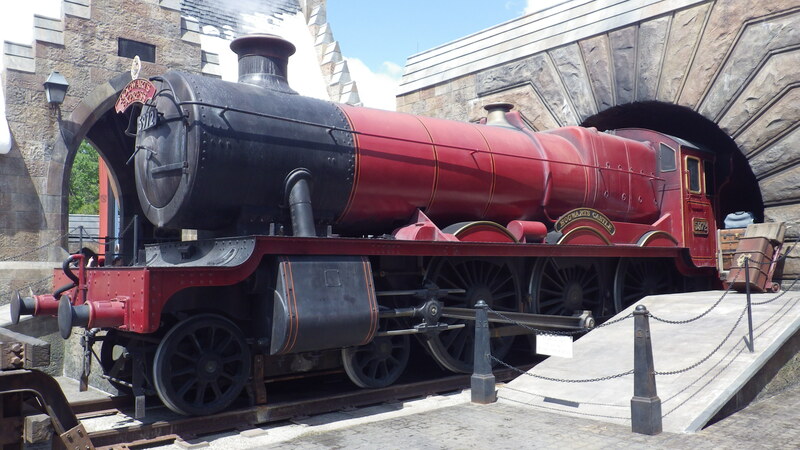 – The Wizarding World of Harry Potter is one of six areas of the Islands of Adventure (IOA) theme park in Orlando. 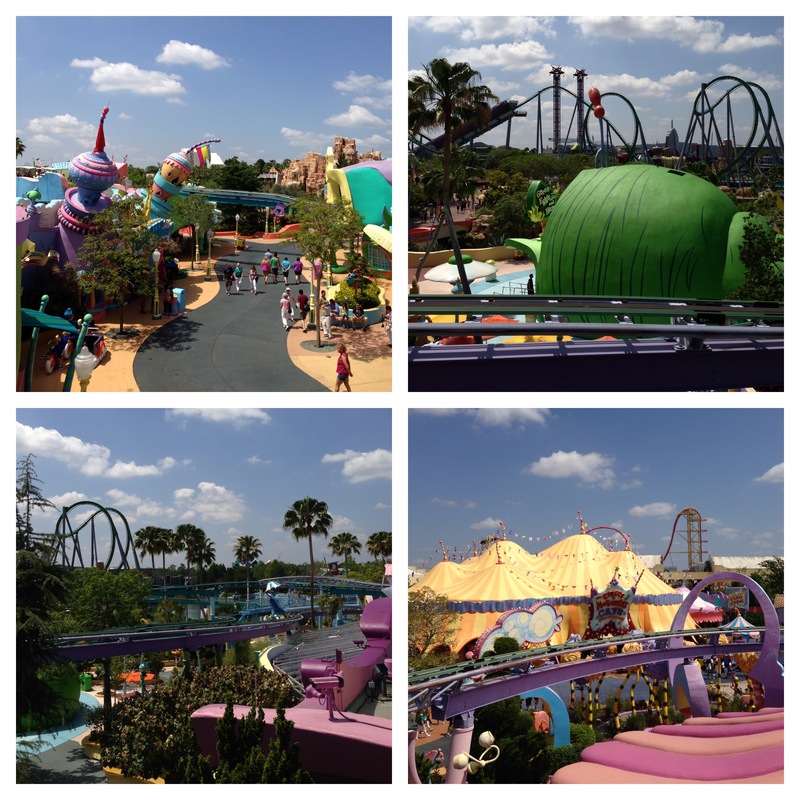 The other five are: Jurassic Park, Marvel Super Hero Island, Toon Lagoon, The Lost Continent and Seuss Landing. – London, parking is free. Yes. it’s free. – In London, the experience is entirely visual and educational. You can stand in the Great Hall and see costumes, props and set interiors. The information exhibited about the film making process is rich, plentiful and intriguing. 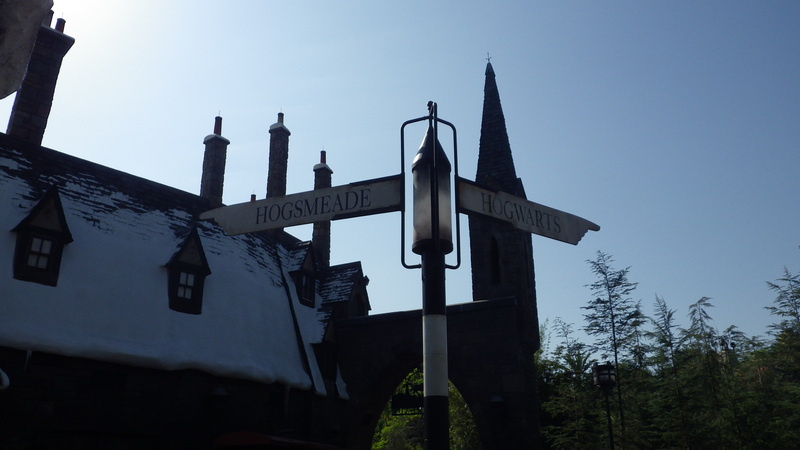 – If you are seeking to feel like Harry Potter, Orlando probably is your best bet. It’s understandable why Harry Potter and the Forbidden Journey is the most popular ride and racks up the longest wait-time each day. With a small group of people, you ride through corridors of Hogwarts and “above” the castle grounds as if you were experiencing Harry’s adventures on a broomstick. 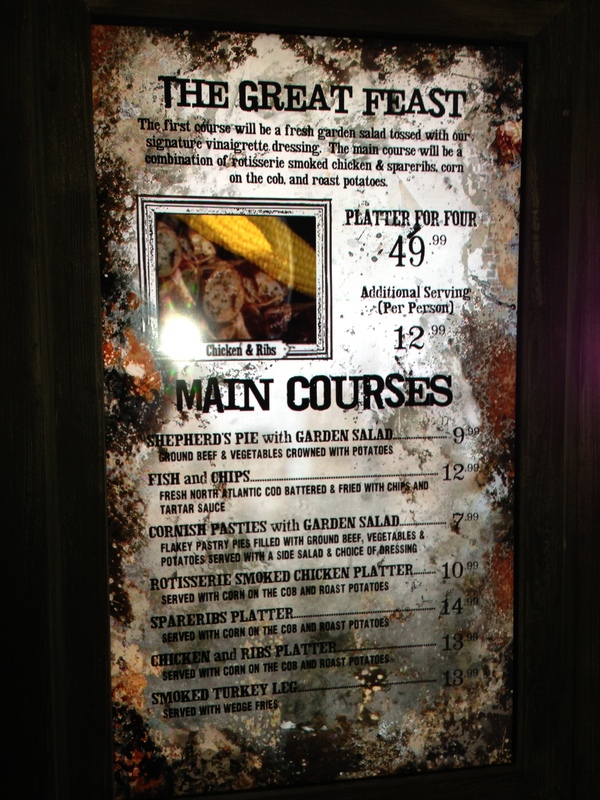 The virtual experience requires a strong stomach. You get tossed around quite a bit. I loved it. I was disappointed with the Flight of the Hippograff, which is appropriately billed as a family roller-coaster. BORRRRRING! 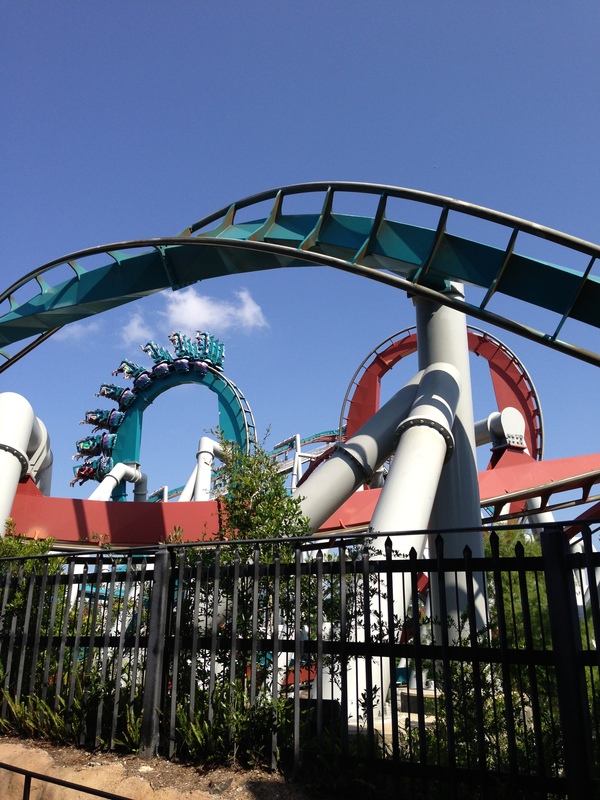 Also, there’s the Dragon Challenge roller coaster. 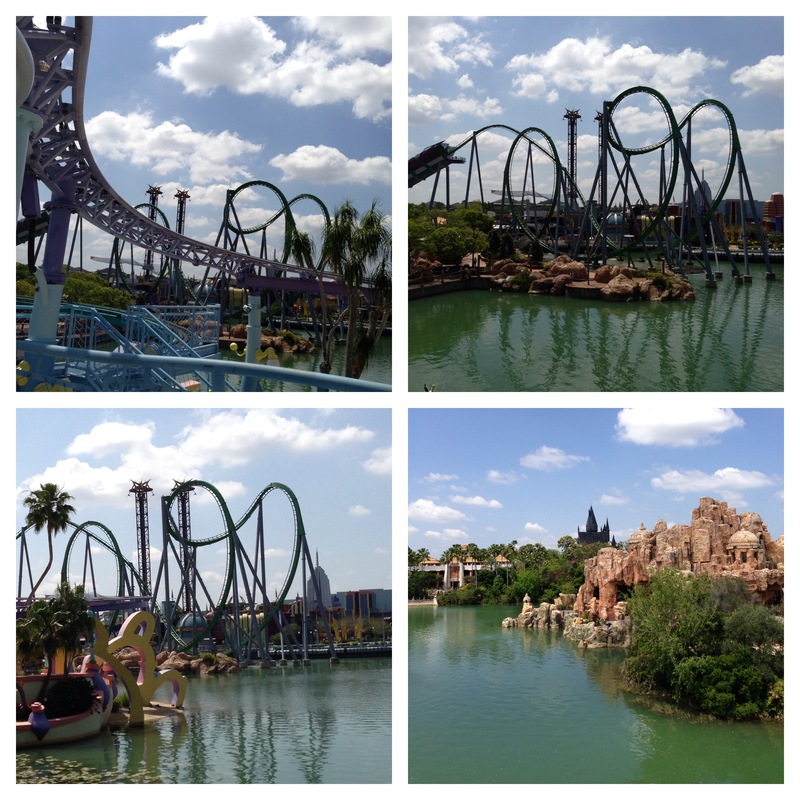 For those who had been to IOA prior to the Harry Potter addition, this coaster was called the Dueling Dragons. I wouldn’t suggest going on that ride on a full stomach. – At Warner Bros, Diagon Alley is a small stretch in a sound stage and basically just features dressed facades. – At IOA there’s an entire Hogsmeade area. You can step inside Olivanders and buy a wand, purchase sweets at Honeydukes, and pick up novelty joke items at Zonkos. – At Warner Bros, there’s a small café in the entrance. – In Orlando, you could go to the Hog’s Head Pub and Three Broomsticks. I ate there. It was edible, not impressive. 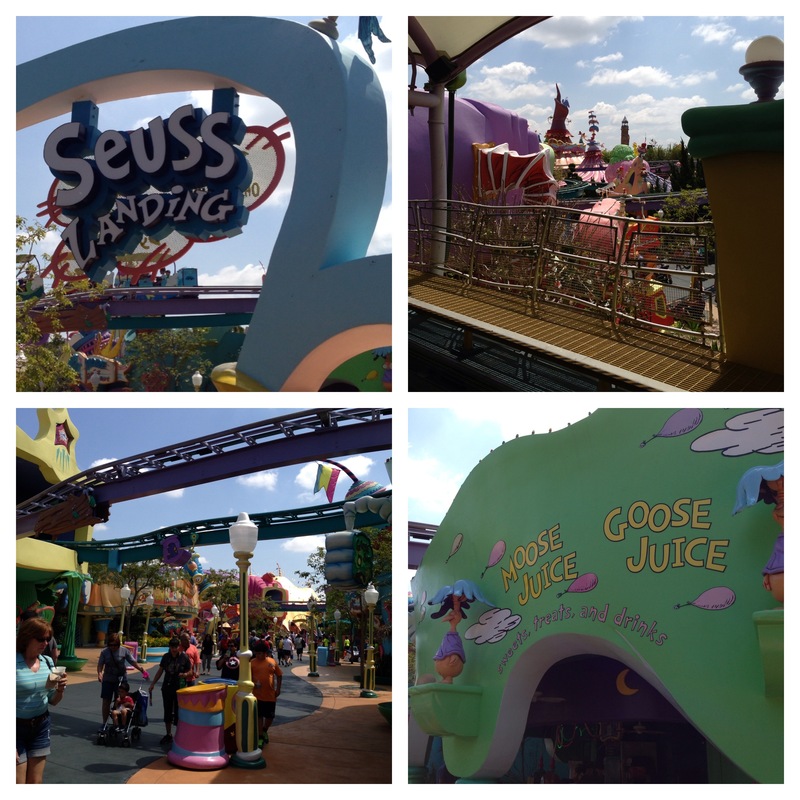 I’d suggest going to Seuss Landing for Moose Juice with green eggs and ham. – I thought for sure Brits would have alcohol in their Butterbeer, but neither location has it. In fact, I learned that both London and IOA use the same recipe. – If it’s raining in London, you could get wet at the half way point of the tour when you go outside to view props and sets. And it’s a bit odd seeing snow on rooftops when everyone is walking around in t-shirts. If I absolutely haaaaaad to declare a winner, one small detail might tip the scale. While I was washing my hands in the restroom (AKA “toilet”) at IOA, I was distracted by the most annoying female voice. As I was really bothered by it, I looked around to assess from whom the noise was coming but couldn’t pick one clear location. Suddenly, I realized. 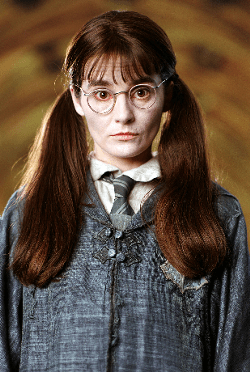 I was in the presence of Moaning Myrtle! So there you have it! 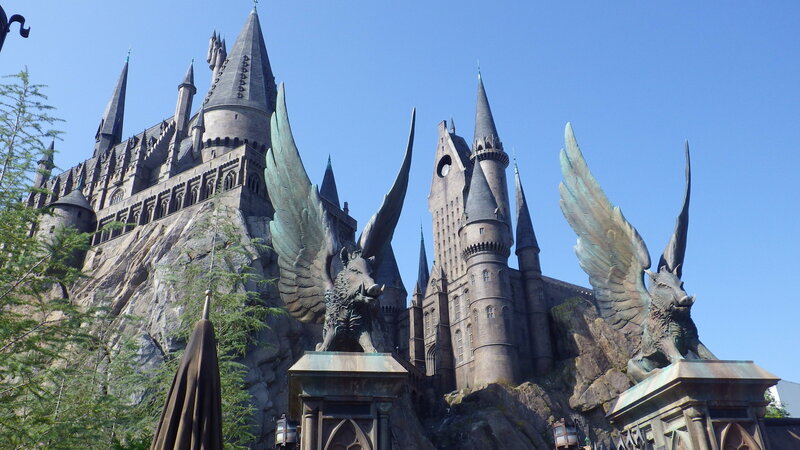 For a more detailed look at what’s available in Orlando, you might want to visit the virtual tour of the Wizarding World of Harry Potter. It’ll give you a nice idea of the layout. 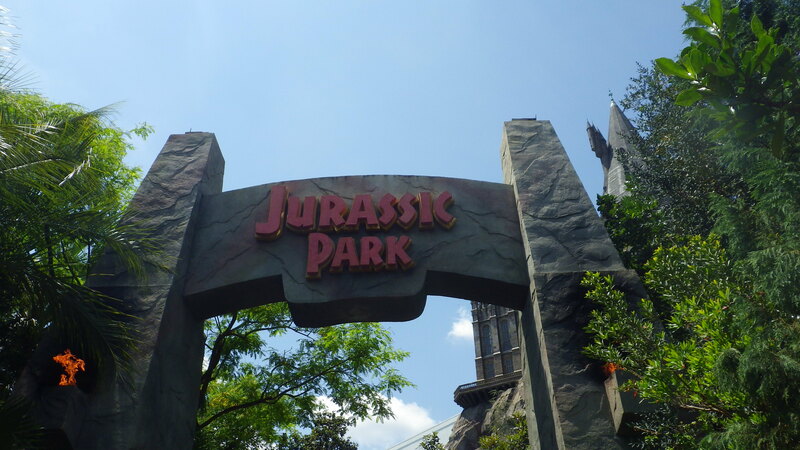 Aside from the Harry Potter area, there’s easily a full day of fun at the IOA theme park. Finally, if you’ll have wifi access, the free Universal Studio app is very useful for up to date ride wait times. Oh yeah, if you’re British, do yourself a favor and wear waterproof sunscreen. You’ll thank me later. If you’ve been to one or both, please leave your suggestions for others below. All ABOARD!!! 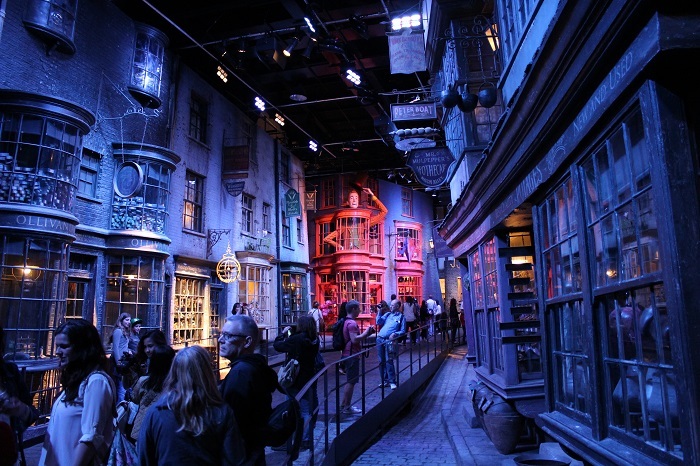 Curious what the London Harry Potter Studio Tour involves? Another awesome post. Alas, Orlando looks more immersive. Orlando is an absolute sensory overload. However, the volumes of information available through the Warner Bros tour is equally as amazing. Thank you again for reading! It’s funny, we have been to both as well, and loved both in equal measures. There is Harry Potter magic in each, but in different ways. To be able to visit Olivanders and Honeydukes in Florida was incredible; but then to visit the great hall, the cupboard under the stairs and visit the potions room in London was fantastic. We LOVED the Forbidden Journey – my husband who hasn’t even seen any of the movies and said it was the best ride he’s ever been on. Fantastic post. So very detailed. They also just opened Diagon Alley at the sister park at Universal next to Islands of Adventure. The prices we paid last week for IOA were $96 and $17 for parking — sigh. But it definitely was fun. Good thing it’s just us two adult kids. I don’t know how families can afford to go pay these prices for major outings these days. Keep up the great work. Cheers! Thank you for reading and commenting, John. 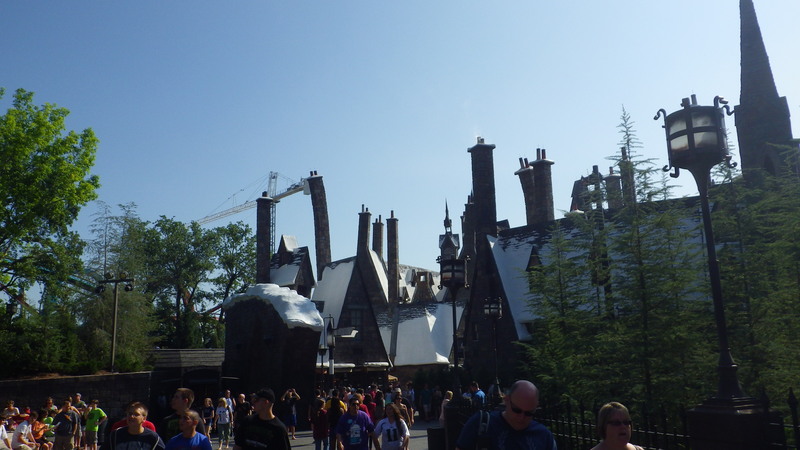 I hope to get to the new Diagon Alley at Islands of Adventure by the end of this year. And I agree, for your average family of four people, a day at the park is quite the expense! The only downside I found in Florida was that the Harry Potter area WAS PACKED!!! I did enjoy seeing the performances from students and yes Moaning Myrtle in the toilets is a brilliant touch. I’m with you though, I love Seuss Landing! I can’t wait to return next January. Yes, it does tend to get very crowded at Orlando theme parks during the peak season. Plus, it’s usually super hot then too! Hi! My fiance and I are planning a honeymoon that includes a two-day “layover” in London. I’ve been a couple of times, but this will be her first visit, so we’re trying to squeeze a lot in that small amount of time. 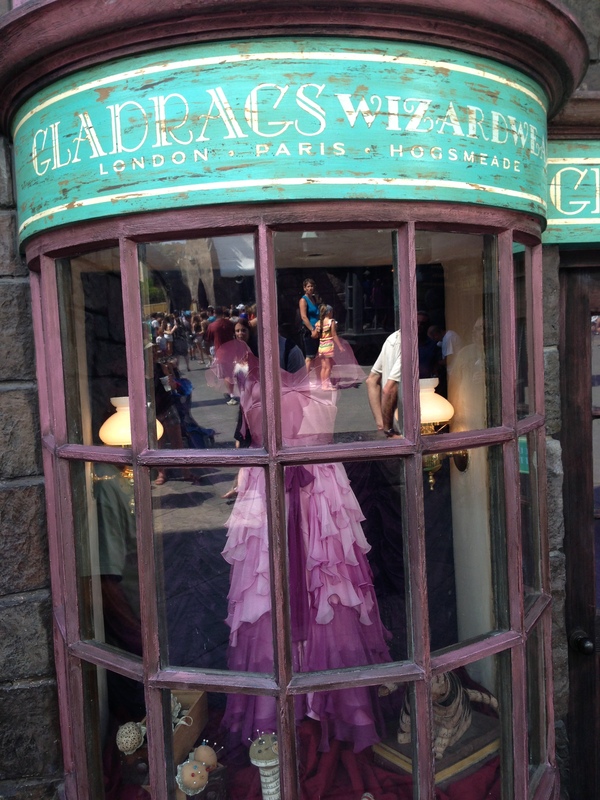 One attraction near the top of her list is the HP studio tour, as she’s a pretty big fan. 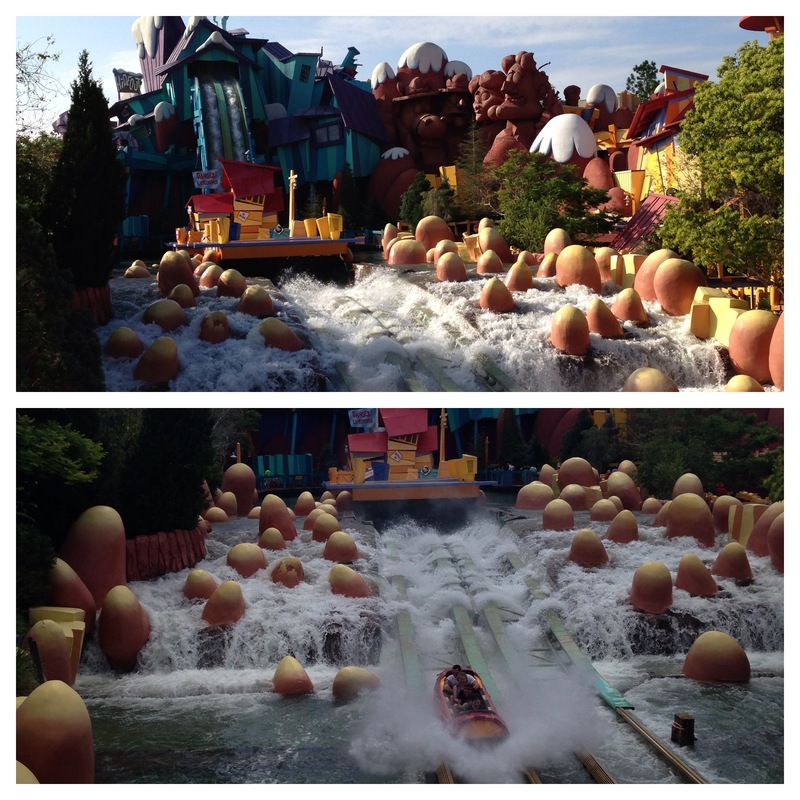 However, we live in Orlando, and of course have easy access to IOA. (We’ve visited the Wizarding World a couple of times before.) I’ve read this post and your more extensive London studio tour post (and I know the answer is subjective), but do you think that a visit of the studio tour would be a good use of our limited time in London, or would it overlap too much with what we have in Orlando? Thanks! Hi Jay! Thank you so much for reading. The studio is amazing here. Like I indicated though, you are really just seeing artifacts, the Great Hall and a giant model of the Castle. Yes, there is a big overlap, especially if you live in O-town. I recently posted about how to get to the London studio. It’s really a trek. 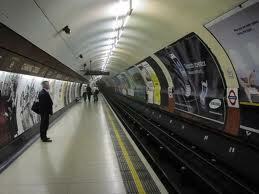 Figure at least 90 minutes travel each way from central London. You will spend one of your two days seeing it. That means missing other monuments and attractions. Since you’ve been here, you know what she’ll want to see with regard to Big Ben, Eye, etc. If it’s the only thing she cares about, go. Diagon Alley is just a facade of sets and nearly the same as Orlando. You can walk through the Hogwarts Express train here now. My recent YouTube video shows shots of this. It’s 2 min long- might want to view it. Email me if I can help any further via my contact page. Happy to help!! Thanks so much for your detailed notes! 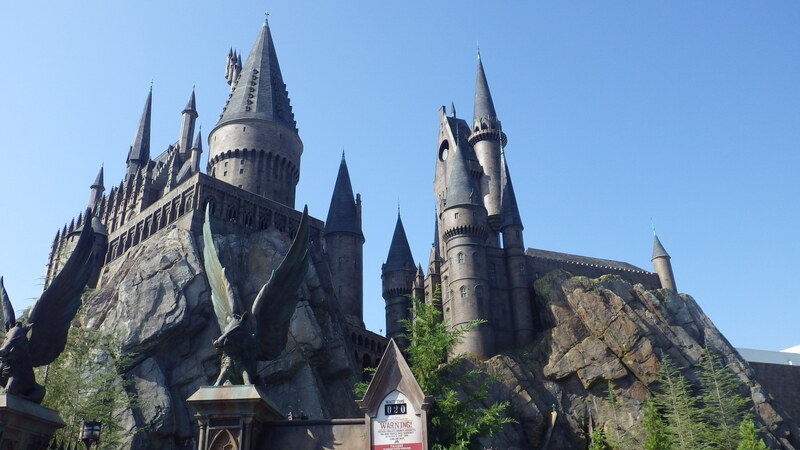 Now that Harry Potter World has opened in LA too – how would you compare to London & Orlando. I’m planning on visiting London in two months and I’m a Florida native. Nothing has ever been able to match the magic and wonder of walking into Diagon Alley in Orlando. I’m debating whether or not to take the studio tour. I have 5 days in London. Thanks for all of the info! I still can’t decide. Ahhh. Thank you! We went to Orlando this past May and had the best time ever. As huge HP fans it was a dream come true. This May we are going to London!!! (I’ve never been) so I am totally stalking your blog, so much good info! Thanks! Hello! We are a family of four coming to London in April for four days. We live in Los Angeles, and so we have a Universal Studios Wizarding World of Harry Potter here as well (just opened in 2016). It is the more immersive kind… walk into the stores, etc. 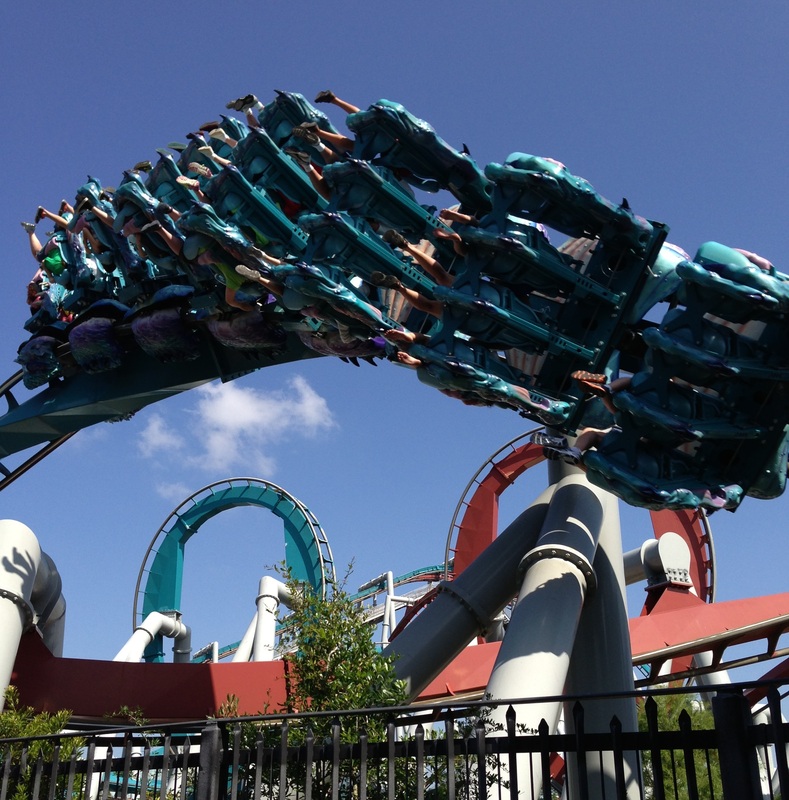 There are two rides — the great one, and the “eh” roller coaster. A friend from Warner Brothers said he can get us into the one outside London, but, given what we’ve already seen here in L.A., I think the one in England would be a bit boring, no? I suppose if you’re really into the MAKING of the film and want to see all the props, it would make sense, but… Aren’t there also tours in Central London itself that feature locations that were used in the Harry Potter movies? If so, does that seem like a better idea? (And can you recommend one that you think is reasonably priced? There are also self-guided walking tours. Thanks! Hi Joanne. Great question. I’ve written quite a few Harry Potter articles. You’re right about the studio- it focuses on sets and props. Magnificent, yes. But also stagnant. I’ve done tours in London too. Since exterior locations were used all over London, you can spend 3 hours on a bus to see 5 locations. Most of your time is on a bus in traffic. Like I say in my most recent Potter video, if you aren’t ‘super fans’, you might want to skip these with only four days in London. My YouTube channel has 3-4 Harry Potter videos (one of a bus tour) that would be worth watching to help you decide. Hope this helps!